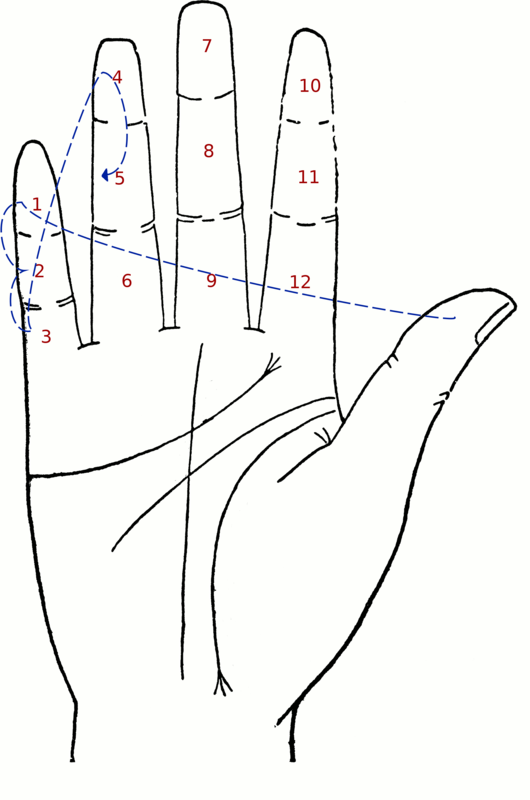 The trishula also represents the nadis or energy currents within the subtle body. 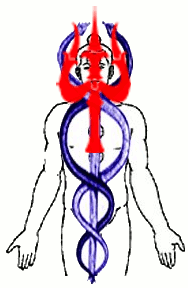 The ida (feminine, passive) and the pingala (male, active) channels spiral upwards like a double helix, crossing for the last time at the Vishuddha or throat chakra. These are normally represented as snakes. The central channels or sushumna nadi goes straight up the spine, continuing up through the crown chakra where the other two channels terminate. The channels in this area form a trishula-like shape. Yogis attempt to balance the energies in these channels, so the kundalini or energy flow is routed directly through the sushumna or spine. It is worth mentioning some common misconceptions about the trishula. The trishula is not the same as the trident held by Poseidon in ancient Greek mythology. 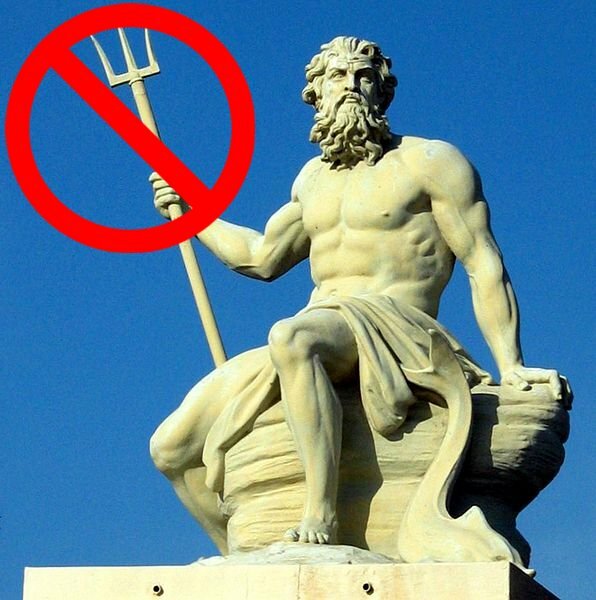 Poseidon is depicted with a wide trident with parallel prongs. This type of trident is used for spear fishing. Shiva’s trishula is a weapon. The trishula is also not the same as the pitchfork said to be carried by the devil in Christian mythology. A pitchfork is an agricultural implement used for tossing hay, leaves, etc. In Christian mythology the devil tosses the damned into the fires of hell with a pitchfork, though this does not come from any Christian scriptures. The Romani (Gypsy) word for cross is trishul. The word “Gypsy” comes from a mistaken belief that the Romani originally came from Egypt, and “Romani” because of the large of these people settling in Romania. It is now accepted (on genetic and linguistic evidence) that they originally came from Northern India. It appears that though they took up a Christian religion they maintained the word trishul for a holy symbol. The Romani also have a saint known in their language as Sara e Kali, or “Sara the Black”. 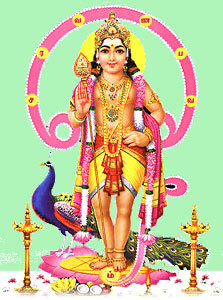 In an annual ceremony they carry this saint to the sea, in a similar manner to Hindu processions. It is likely that the Hindu deity Kali has been denigrated to a Christian saint. 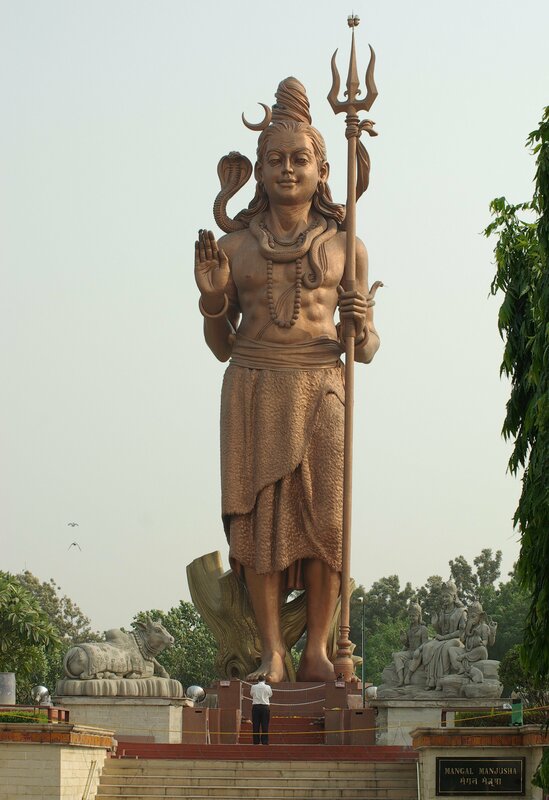 This entry was posted in hinduism, religion and tagged god, romani, saiva, shaivism, shiva, symbol, trident, trishula. Bookmark the permalink. Thank you for this entry! I am happy to read it (hopefully the first part of a series…). The meaning of one of the symboles has just been made even more clear to me. So I would like to encourage you to go on with this job if possible, please. It must be very helpful, in my opinion. So I am looking forward to the descriptions, explanations of other symboles as well. Is Aryan “invasion” true? Or was it the opposite? Now we all know that Aryan invasion is fake and it was just a story by British imperialists. It is believed that during the Orion period(7000 BC), many Sanathani Aryans migrated from Indian region to Europe, where they settled and got mixed with the natives. 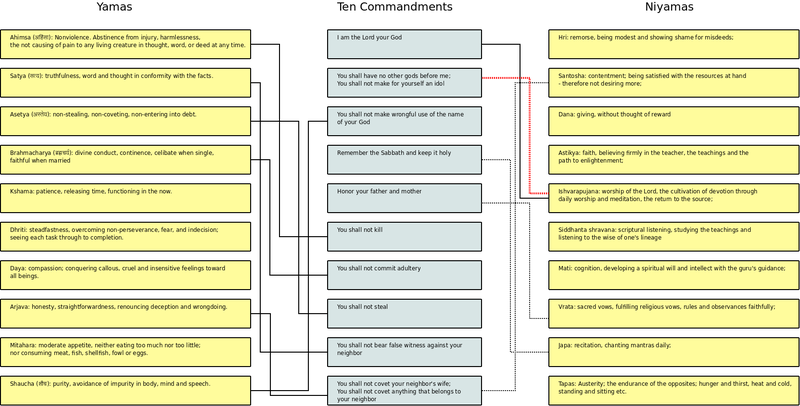 – Various Gods,Goddess,Demi-Gods in Greek and Hindu “mythology”. Sun god, Love god, War god etc. its now proved with the asian genome project that no aryan invasion occured, it was a lie made by christian invaders…….the whole of india was populated through the south NOT NORTH…….in fact what it goes to show is…the frist africans went to india who became the indians..it was the indians then that moved up out of india getting lighter in skin tone the further they moved into colder climates of northern india…it was then those indian who orginted from the south who moved north and eventually went on to populate EUROPE…….taking with them customs and traditions of India…The biggest misconception india was about twice as big as it is now……indian lands stretched right up to Iraq and Iran, therefore indian culture moved as far as to the middle east and europe and eastwards to china and japan. The similarities seen all have one thing in common india, its people, its faith. Trishula also represents the fact that God is the controller of the “trikala”(past, present and future). The chakra/discus that Lord Vishnu has, is also interpreted as the “kala chakra”(meaning the wheel of time). The Damaru/conch symbolizes that God can be attained through japa and by singing his glory. Also sometimes the God is shown with many heads and arms. The heads symbolize different aspects of Godhood. And sometimes demons are also depicted with many heads, to represent that they had intelligence equivalent to many heads- eg.Ravana is shown with 10 heads. Similarly many arms means strength equivalent to many arms. what is trishula of real colour? Red or yellow? I don’t know, I always assumed it was not significant. It is often drawn black or is metallic on murtis. Does anyone know any more? Then we need the oldest archaic murtis or …? If that think about relation with 7 and 8 chakra why this colors are not purple or white and why all mundis are yellow or red. Origin trishulas color is changed by somebody?